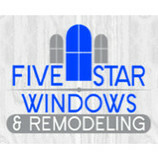 Five Star Windows & Remodeling offers superior, first class remodeling, renovating, and repairing services for inside and outside your home. Five Star works hard to complete your project to your satisfaction. Five Star strives to go above and beyond to exceed our client’s expectations. Our business is our livelihood but it is also so much more. Riggins Siding & Gutter was started to fill in a void in the current market and to make a business that people can place their trust in. Over the years we have never lost our commitment to our clients and that is what has allowed us to succeed in a very competitive industry. The employees of Riggins Siding & Gutter stand committed to our purpose and will provide the best service! C&W Roofing, Siding, and Window Co.
C&W is a family owned and operated small business proudly serving upstate South Carolina for over 25 years and counting. We strive for perfection in our craftsmanship as well as customer service and we are proud of our A+ rating with the Better Business Bureau. 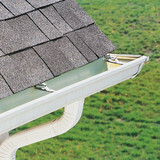 Whether it's roofing, windows, or siding, we have you covered. We are a full service siding Installation company, we also install replacement windows, decks, seamless gutters and leaf proof systems. We take pride in our work and focus on giving customers outstanding quality installation. We accept Master Card, Visa, and Discovery Credit cards, as well as check or cash. What types of siding services do Pendleton exterior contractors provide? Wood siding needs more maintenance than less-expensive, low-maintenance vinyl siding, but with proper care it will outlast vinyl siding, which can fade and crack over time. Your Pendleton, SC contractor might also suggest fiber cement siding, which is fire resistant and termite-proof and can come with a warranty of up to 50 years. 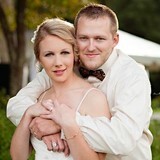 Find siding and exterior contractors in Pendleton, SC on Houzz. 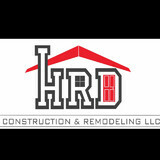 Narrow your search in the Professionals section to Pendleton, SC siding and exterior contractors. Find out how long a Pendleton, SC exterior remodeling contractor has been in business, view portfolios, read reviews and get contact information.